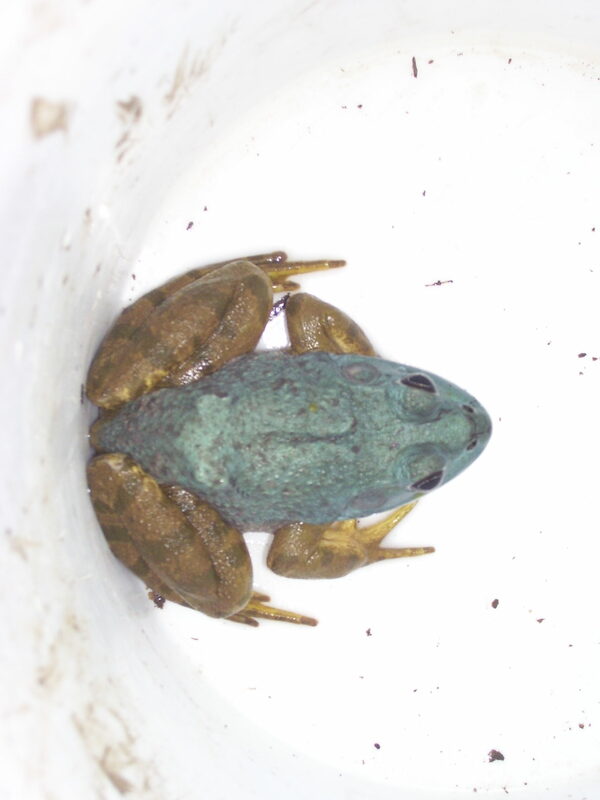 Who’s got the full story on this blue bullfrog? Is it genetic or environmental? A former Tonganoxie student located this blue morph in his pond. After it was caught, I took it to Prairie Park Nature Center(Lawrence,Ks). Usually when things like this happen to amphibians/reptiles, it’s because there’s missing a certain pigment. In this case, most likely yellow. It’s popular in pet breeding, but rare in nature. Very cool find! I posted a link to this on the Kansas Herpetology Facebook group and it has received a few comments there. I have also had a students contact me that he has seen similar bullfrogs in southern Johnson County. Previous Previous post: “What the Robin Knows”–a resource for teachers–and an idea.